ADAMS, JOHN, merchant, member of the Nova Scotia Council; b. 1672 or 1673, son of John and Avis Adams of Boston; d. sometime after 1745. A petty merchant in Boston, John Adams joined the New England regiment raised by Sir Charles Hobby* and was present at the capture of Port-Royal (Annapolis Royal, N.S.) in 1710. Shortly thereafter he returned to civilian life and, settling in Annapolis Royal, began an extensive trade, probably in manufactured goods, with the Acadians and Indians of Nova Scotia. He also acted as a real estate agent and contractor in Annapolis Royal. Adams’ 20-year service on the governing council of that colony began on 28 April 1720 and the records show few who served as faithfully or as long. In 1725 he was appointed a notary public and deputy collector of customs for Annapolis Royal, and in March 1727 he was commissioned a justice of the peace. As deputy collector of customs, he was often involved in heated arguments with other traders such as William Winniett, and it appears that he occasionally used this advantageous position to obstruct the activities of his competitors. By the mid 1720s Adams’ eyesight had begun to fail and he was almost completely blind by 1730. He became less active in community affairs and his trading seems to have declined. In several unsuccessful petitions to the king for a pension, he blamed his misfortune on over-exposure to the sun, “without hatt or wigg,” during an Indian attack on Annapolis Royal in 1724. Adams remained an active councillor in spite of his infirmity, however, and in 1731 joined with other senior councillors, including Paul Mascarene, in opposing the appointment of Alexander Cosby as president of the council. Adams’ desire for advancement was temporarily satisfied in December 1739, when the sudden death of Lieutenant Governor Lawrence Armstrong* and the absence of Major Mascarene elevated Adams to the position of president of the council and thus head of the civil government. Adams complained, however, that “now [that] Providence had put into my hands a Morsel of Bread Major Mascarene was come in all haste from Boston to take it from me.” In a stormy meeting of council on 22 March 1740, both Mascarene and Adams claimed the right of presiding. After the councillors declared unanimously in favour of Mascarene, Adams retired to Boston in late August or early September 1740. In his unsuccessful petitions for redress, Adams pointed out that Mascarene had absented himself from the colony for years at a time, but Mascarene was able to account satisfactorily for these long absences and had managed to stay just within the rules governing council membership. Adams seems to have spent the remainder of his life in Boston, poorly rewarded for his 20 years of service and greatly embittered by the supposed injustice done him. BM, Sloane mss, 3607, pp.174–77. Mass., Archives, State papers, XVII, 776–79. PAC, MG 11, Nova Scotia A, 11, pp.108–9; 20, pp.94–97; 21, pp.1–3; 24, pp.228–29, 232–33; 25, pp.3–8, 9–13, 65–70, 175–78; Nova Scotia B, 2, pp.172–75. PANS, RG 1, 7, pp.213–16; 11, p.160; 14, p.203; 20, pp.9–10. Nova Scotia Archives, I; II; III; IV. New Eng. Hist. and Geneal. Register, XXXII (1878), 132–33. Brebner, New England’s outpost; “Paul Mascarene of Annapolis Royal,” Dal. Rev., VIII (1928–29), 501–16. 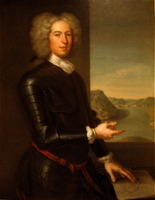 Murdoch, History of Nova-Scotia. Barry M. Moody, “ADAMS, JOHN,” in Dictionary of Canadian Biography, vol. 3, University of Toronto/Université Laval, 2003–, accessed April 22, 2019, http://www.biographi.ca/en/bio/adams_john_3E.html.